Teeth grinding and clenching are common habits, but that doesn’t mean they are harmless. Stresses from the powerful forces generated by grinding and clenching (also known as “bruxing”) can wear down teeth or even loosen them. 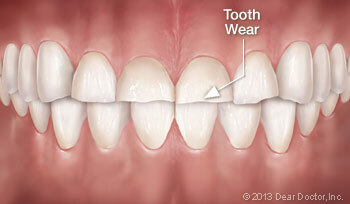 Teeth that have enamel worn away or scraped off from this repeated rubbing action may become sensitive to hot or cold. 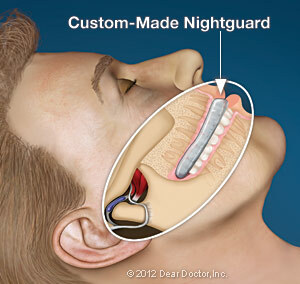 And dental work such as crowns and fillings may get damaged. Bruxism can also lead to jaw pain and/or headaches.